Chalkboard paint is great but chalk is messy. Turn your wall into a writable surface for the 21st century with Dry Erase Paint. The paint that will turn any wall into an instant white board for all your creative and productivity needs. This is paint. Literal paint that you use a roller to apply to walls. There is a bit of a process involved as it consists of a base and an activator. Once dry, you’ll have a surface that acts as a white board and you can use dry erase markers on it to draw or write whatever you want. This is indoor only paint but you can use it in playrooms or offices to give you all the space you need for your big ideas and plans. It works with any dry erase markers and cleans off with a brush. Just like you would any normal, not painted on the wall, dry erase board. 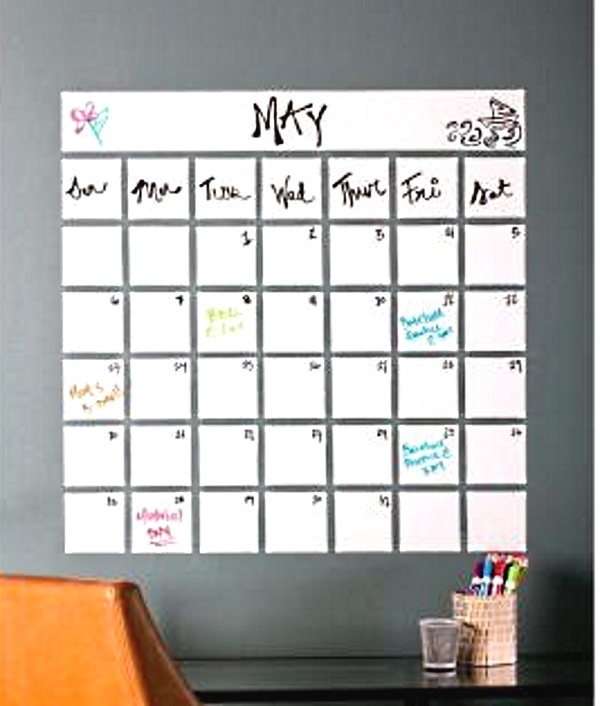 Dry Erase Paint can be picked up around $20.